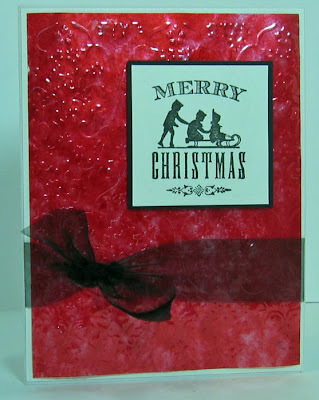 I've got another Christmas card under my belt and into my card box all ready for December! 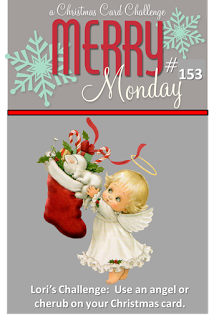 I gold embossed this beautiful angel stamp from Inkadinkado, stamped the sentiment from the Silent Night set from PTI and added gold tape to the top and bottom of the panel. 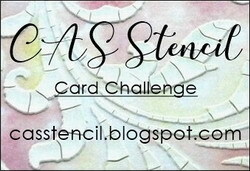 For those of you into mixed media - I want to remind you about a couple of fun challenges in case you find you have some crafty time this weekend! 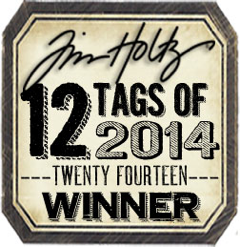 Accessories: gold embossing powder, heat tool, gold tape - Luxe Letterpress Kit. 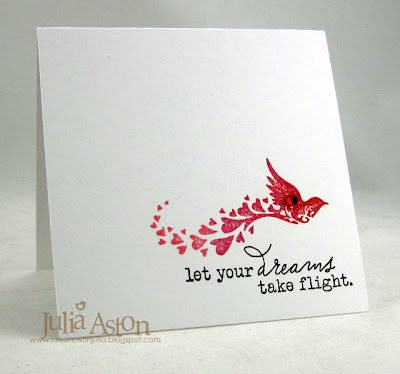 and here's the card I created - the bird with the heart flight trail is from Inkadinkadoo and I inked it with Memento Love Letter and Rose Bud, and Ranger Distress Worn Lipstick inks. 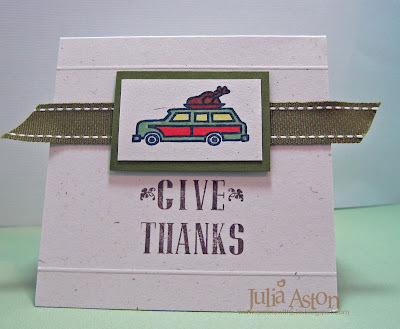 The sentiment is from Happy Trails from Papertrey Ink. I added one rhinestone to the bird wing for a little shimmer. 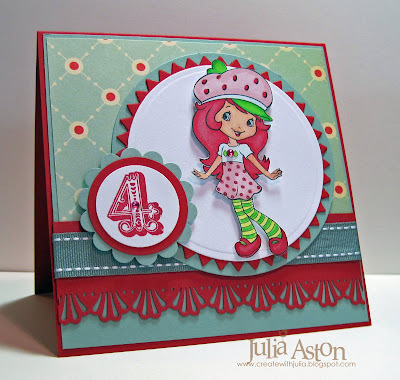 and I made my second card for the Color Challenge over on Split Coast. 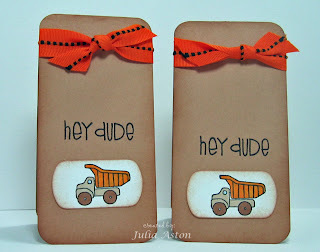 I'm sampling for hostess Peggy this week (that's why I got my card done a little early!) Her colors for us are Rose Red, Wisteria Wonder and Pink Pirouette (or red, purple and pink!) And the optional dessert is to use circles. I have to blame thank my blogging buddy Anne Harada for introducing me to this cute little critter - see her inspiring post here. This adorable owl card is made using the Sizzix Owl #2 die. He/she cracks me up just looking at him!!! 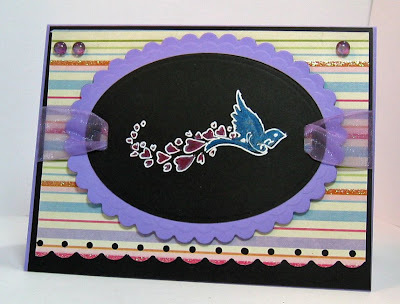 I used purple and pink patterned paper from PTI and Rose Red from SU for the heart. 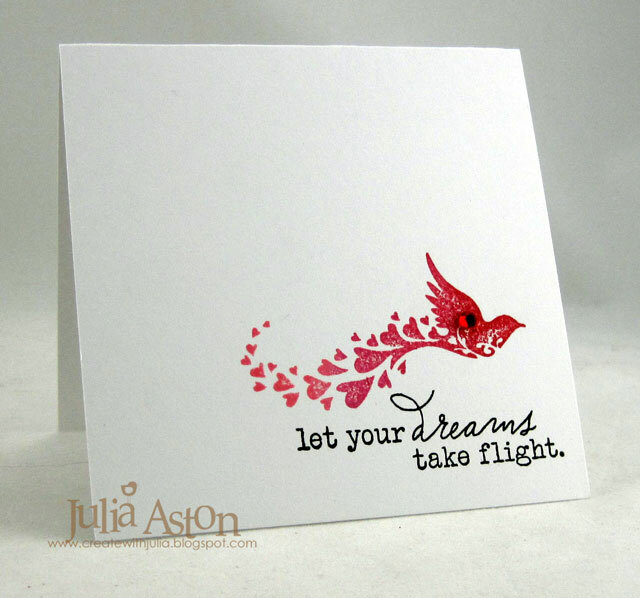 The sentiment is from Wise Owl from Papertrey Ink. 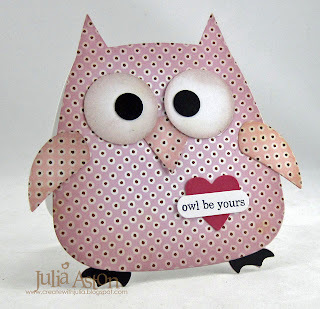 To make the owl a card - I used a 4 1/4" x 4 1/4" card base and placed it on the die with the fold just under the top of the head line so it didn't cut across the top. 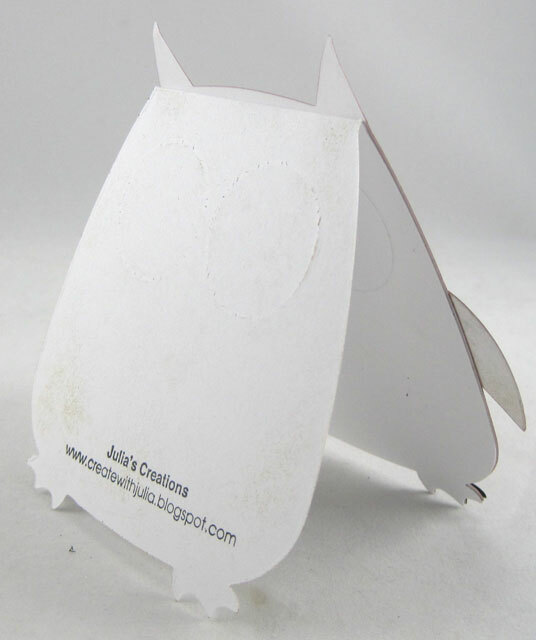 Then I cut a piece of patterned paper with the full owl and adhered it over the front of the card. I sponged all the edges of the patterned paper with Ranger Distressed Milled Lavender. Here's a view from the back. The big round eyes on the die leave an impression on the cards, not cutting through but you can see the imprint - so that shows on the inside and back of the card. Not sure why they made the die this way - maybe for placement of the eyes. 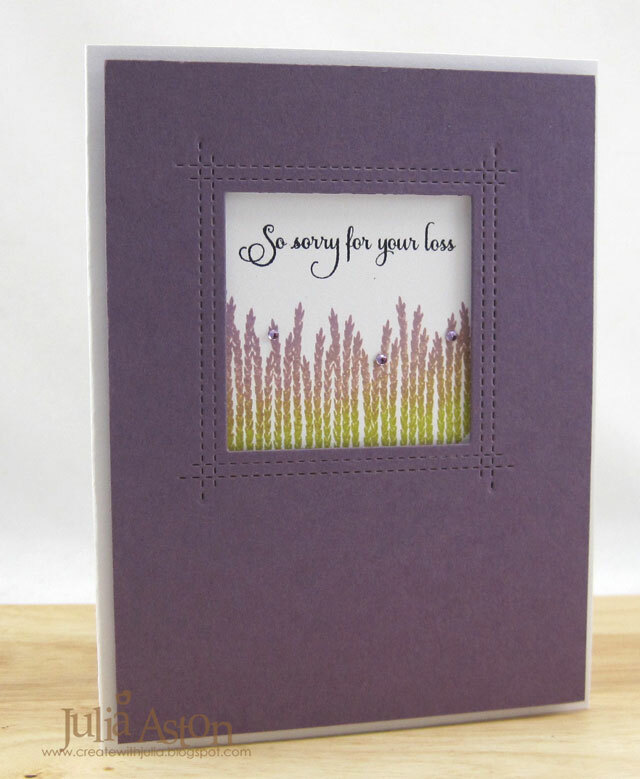 I'm trying to figure out a way to cover them - at least on the inside of the card - probably I'll use a plain white panel. Has anyone else used this die and solved this 'eye mark' problem??? Anyhow - he/she is still as cute as she can be!! 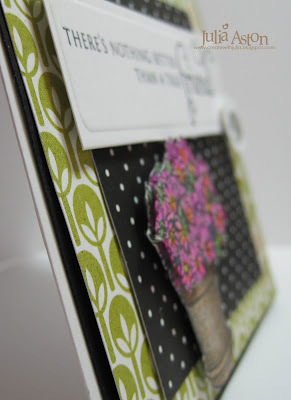 and there are so many possibilities for different looks just by using different patterned papers! You can see more owls by Diane Zechman here and another one by Jeanne Streiff here! Ink: Versafine onyx black, Memento Love Letter and Rose Bud, Ranger Distress Worn Lipstick. 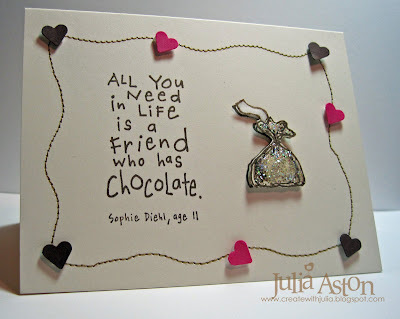 I used Chocolate Chip, Vintage Cream and Raspberry Fizz card stock - I was trying to figure out how to have a silver wrapping on the kiss that would have an edible name - and then realized Silver Ice Stickles would work! 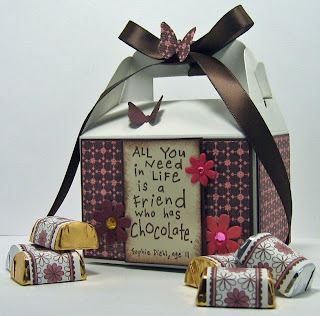 and the ink I used is Dark Chocolate. 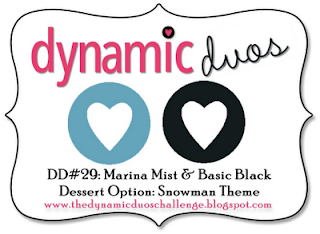 We'd love to have you join in the DDC challenges - just add DDC to the keyword when you load your edible card to your Split Coast Gallery. 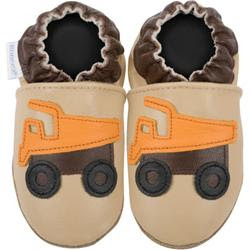 Scroll down to Post #20 in this forum on SCS. You can see all the DDC cards here. A Couple of Sweet Valentines!! 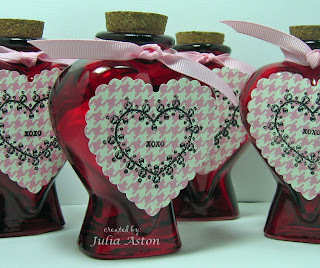 I chose to stamp on my patterned paper and punch it with a scalloped heart punch and attach it to the pretty bottles. 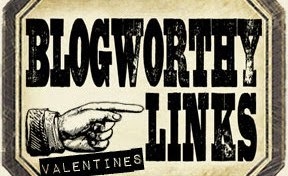 I tied a narrow grosgrain ribbon around the neck and filled it with candy Conversation Hearts. I love how they came out! 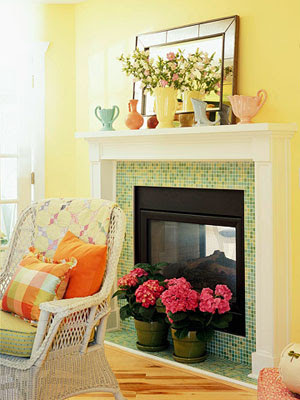 A simple adornment but very effective I think! 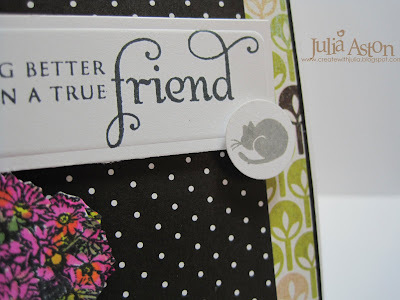 I just got the stamp and paper in the mail today from Danielle (DPKennedy on SCS) as part of some wonderful blog candy I won on her blog last week - Thanks for getting them to me so quickly Danielle!! 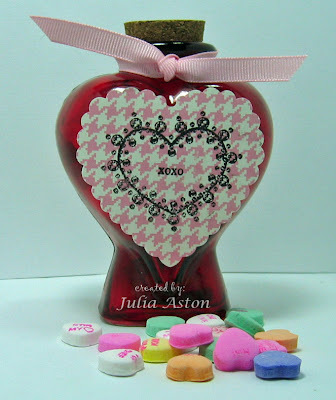 And here is a 2nd Valentine's Day craft I made for our sale - once again using containers I got at Michaels last year on sale (again 50 cents each!) These are red and white heart shaped ceramic dishes. 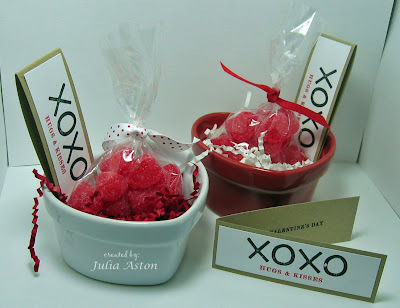 I didn't decorate the dishes at all - but chose to fill them with red and white basket filler paper and a clear treat bags (from Michaels candy aisle) filled with jellied candy hearts (CVS) and tied with grosgrain ribbons. 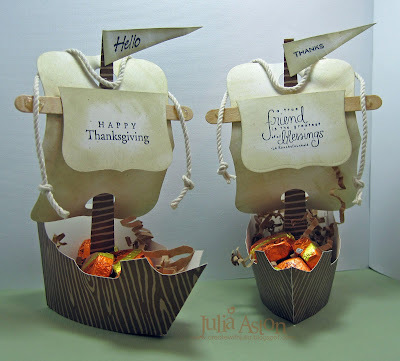 I made the cute narrow cards to tuck inside the dish. Each card is 1 1/2" x 8 1/2" Kraft card stock folded in half (pieces left over from the Velentine Origami Boxes I made here.) 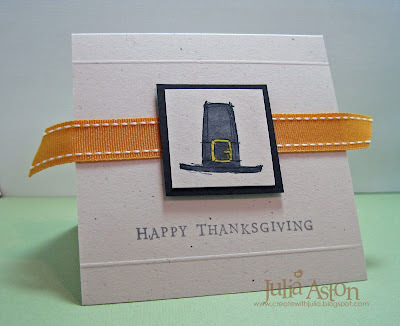 I stamped on a piece of white card stock 1 1/4" x 4" and adhered it to the folded Kraft piece. The XOXO is a $1 stamp from Michaels - and the hugs and kisses as well as the Happy Valentines Day inside are from the Sweet Love set by Papertrey Ink. I hope you are inspired by my Valentines Crafts - easy peasy to make if you have the containers or something similar. Thanks so much for coming by today! My first card today is for the weekly Double Dare Challenge I do with some SCS friends. 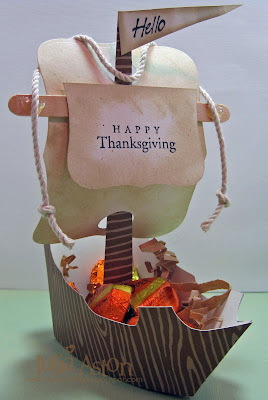 Joan Ervin was our hostess this week and she challenged us to make a card with plenty of sugar and calories - something good to eat! 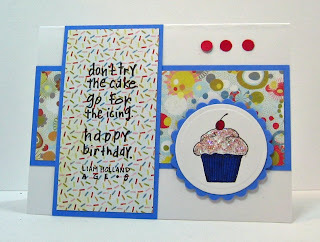 I thought this fun sentiment stamp by Inkadinkado (don't try the cupcake - go for the frosting, happy birthday. Liam Holland Age 8) and yummy little cupcake by Lockhart Stamps would fit the bill! Remember when you just lapped the frosting off cupcakes and then didn't eat the cake?!?!?! Or was I the only one that did that?!?!? You can check out all the high calorie cards here!! 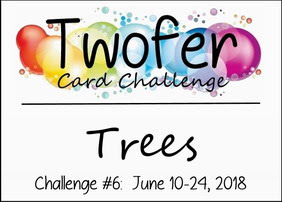 My second card was for Today's Try a new Technique challenge on Split Coast that was to use a decorative paper napkin on your card. 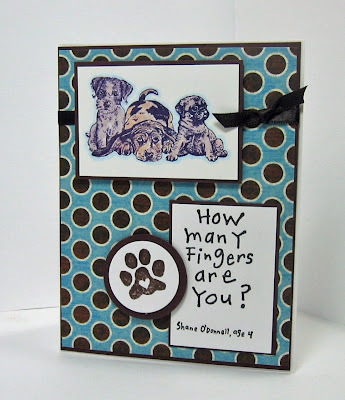 Other cardstock and supplies you would like to complete your project. First start by unfolding your napkin and if it is a multi-ply napkin, carefully pull the layers apart so that you only have the top decorative layer for your project. Cut a piece of freezer paper a little larger than your napkin (about 1/2 to 3/4") Heat your iron while you first lay your freezer paper, shiny side up, on your ironing board. Next, lay your decorative napkin (pretty side up) onto your freezer paper, then lay your copy paper on top of your napkin. 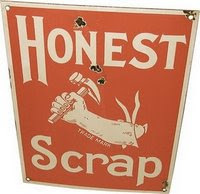 Heat with your iron (set on medium - no steam) for about 15 to 30 seconds, moving your iron over the copy paper, applying gentle pressure until your napkin is adhered to your freezer paper. Now just apply your pretty napkin to your cardstock, (just like you would if you were using patterned paper) and complete your project as desired. I used this pretty scenic napkin that I got on a summer vacation on Prince Edward Island. 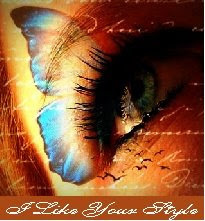 I thought it looked so lovely - I didn't add anything accept the sentiment under the image. I must say that I had some issues with the napkin separating from the freezer paper when I put the double sided adhesive on the paper. So I think I need to play around with the ironing bit a little - maybe I ironed it too long? Most of it stuck together - just a few areas pulled apart and I just put some adhesive between the layers and stuck it back down! 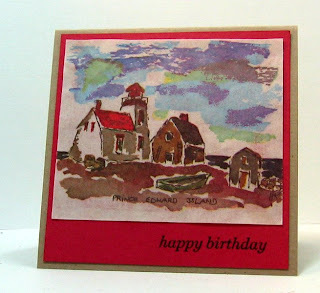 I think it's a great new technique for a different kind of card though and worth another shot to get the technique down pat. That's it from me today - I appreciate your stopping by! 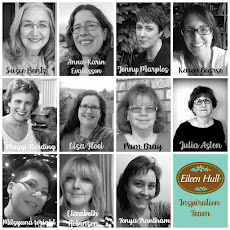 Saturday I'll be participating in the H&M Design Team Blog Hop - all the DT members are making lovely holiday decorations to inspire you - so be sure to come by this Saturday - Nov 1! Hi Everyone - just wanted to share some fun opportunities that I recently found on line. 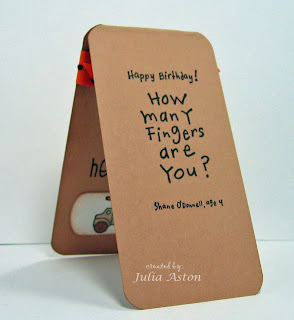 First - Kristin at Artful Inkables is looking for Design Team Members - so if you have ever thought you might like to do that - check it out here. I just sent my application in to them so wish me luck! 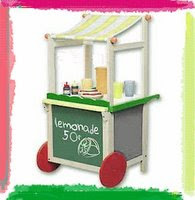 And Heather, over at H&M Stamps is having a really fun promotion - buy a certain number of her stamp sets between now and September - and have the opportunity to win some fun prizes! Check that whole thing out here. Check out her fun stamp set with a Statue of Liberty - that will be perfect for the upcoming 4th of July holiday as well as her barbecue set! 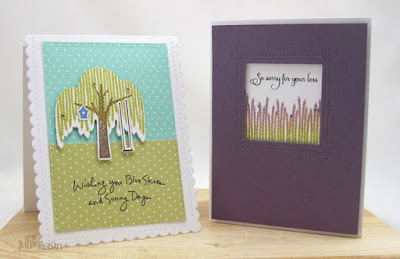 And now I'll share two projects that I did over the weekend and didn't get a chance to upload until now! 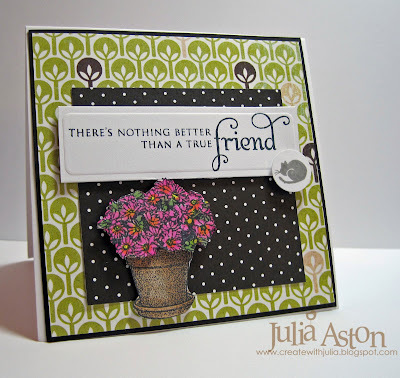 I made this fun two pocket bag for the Featured Stamper challenge on SCS this past Sunday. 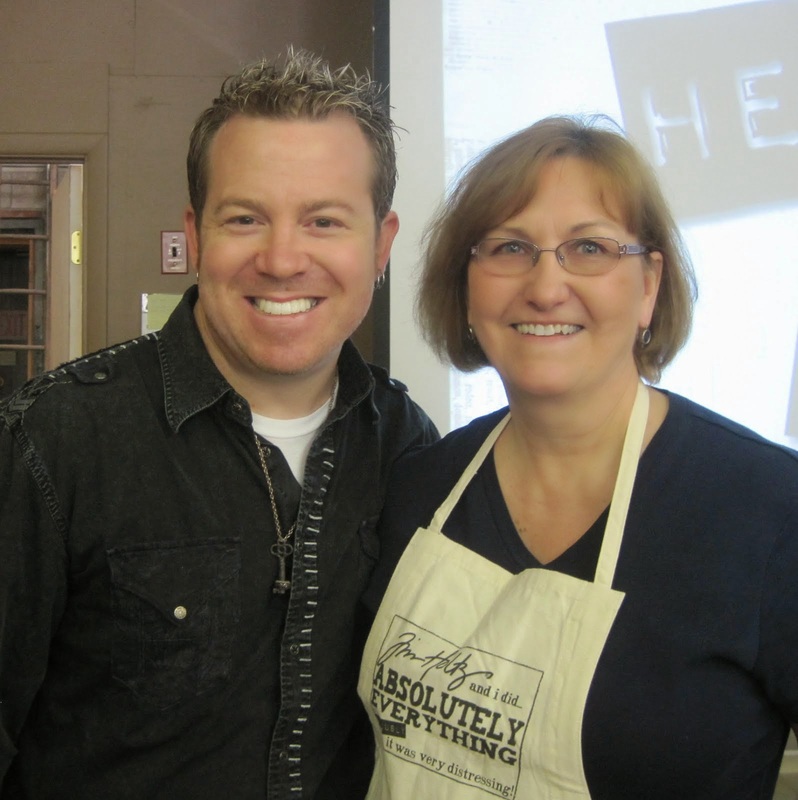 YLM (Cindy) was the chosen stamper this week. 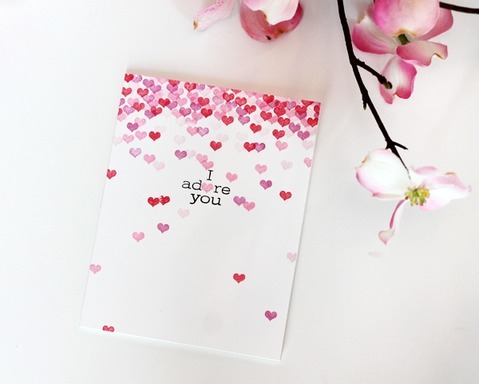 I chose this card of hers to case. My changes were - I used different color designer paper, made a ribbon handle instead of DP, and made a Sunflower instead of the one she had. I loved the flower on the bag - and I have been wanting to make more of these adorable two pocket bags ever since I made one for the challenge a week or so ago. I learned how to make this wonderful sun flower using graduated sizes of nestabilities when I attended a workshop Lauren Meader ran at The Papertree in Manchester, NH (see info on that here). The paper is Cosmo Cricket called Be Good: Peppermint Candy. I cut 5 sizes of scalloped circle nestabilities out of More Mustard, sponged the edges with Close to Cocoa, cut slits on the sides of each scallop, and ruffled the 'petals'. Then I layered them using foam dimensionals and attached the leaves by Prima. 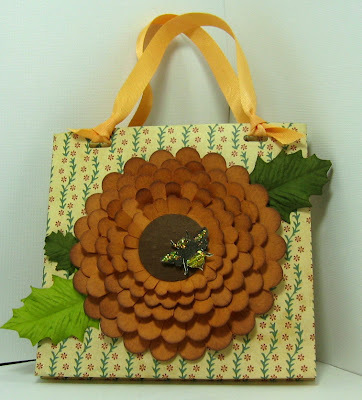 The bee is from PapertreyInk - Honey Bees set and I highlighted it with yellow stickles. 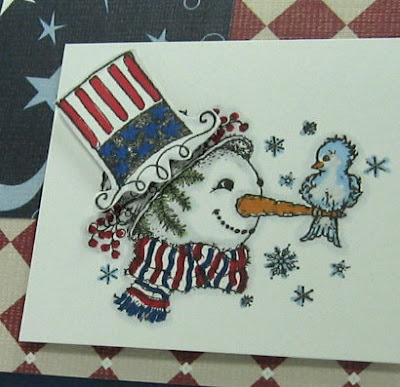 My 2nd card is a Snowman Happy Flag Day card. A coworker commissions me to make snowmen cards for every holiday. She sends them to a friend in Florida as a running joke they have. 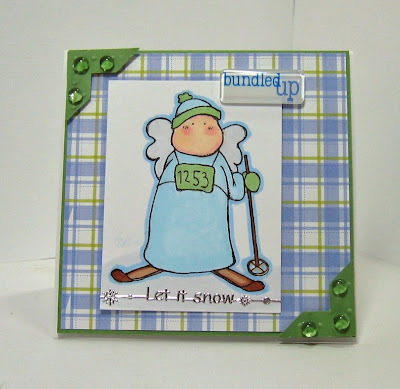 You can see some of the other snowman cards I've made for her here. This snowman with the cute bird perched on his nose is by Inkadinkado. 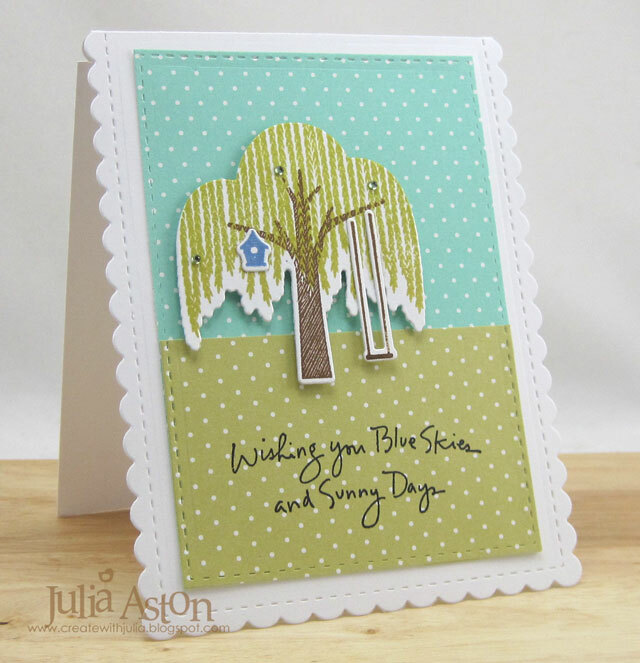 The card is Night of Navy and the DP's are by GCD - Bedtime stories and All Boy Argyle - I thought they looked kind of 'flagish' on this card! I colored the snowman with Prismacolor markers. Then I stamped the flag hat on a scrap, colored it, cut it out and layered it over the real hat. I popped it up on foam dimensionals. 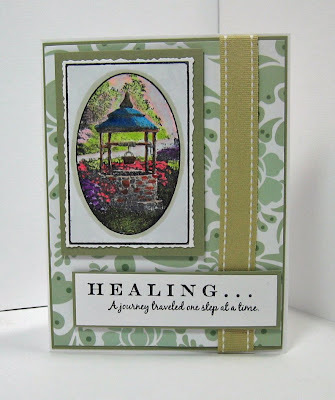 On the inside I dry embossed a piece of white cs with my square Nestability cut it out and stamped it with this stamp from My Sentiments Exactly and Karen Foster Snap Stamps. 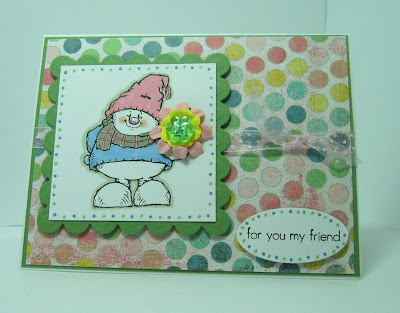 And finally I'm throwing in the snowman card I made for Mother's Day that I forgot to upload when I made it! 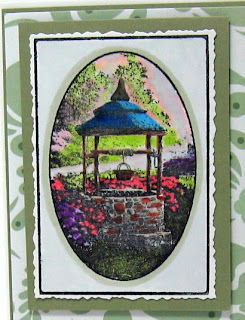 This cute little guy is by Hampton Art Stamps and in real life he is holding a little gnome like snowball creature but I have him holding a pretty flower bouquet for Mother's day. The paper is Two Scoops by Basic Grey. So..... that's it for today! Thanks so much for coming by!